Light up your jack-o-lantern for Halloween. 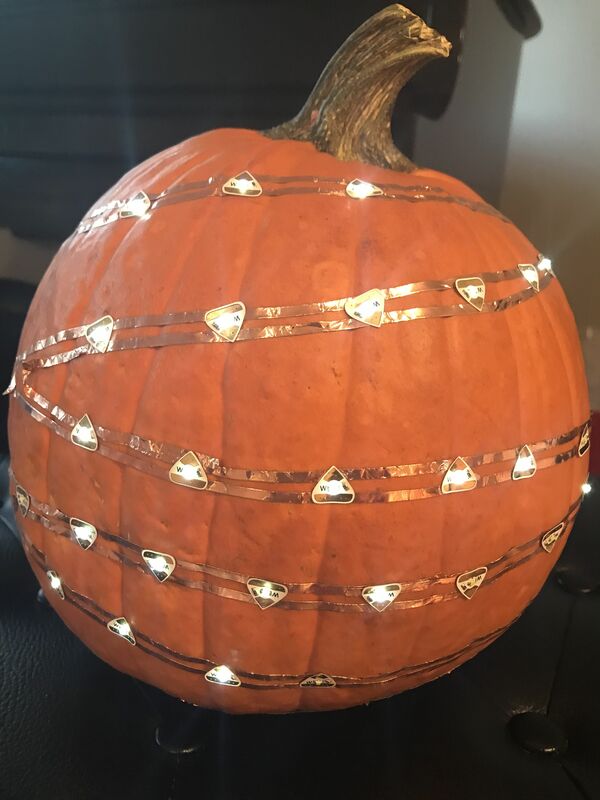 Add LED stickers to your pumpkin for a special glow-in-the-dark effect to surprise your trick-or-treaters. 1. Create paper battery holder, and place battery holder on the bottom of the pumpkin. 2. 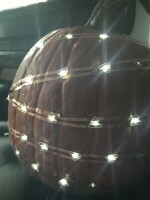 Create a parallel path of of copper tape around pumpkin.